Some doctors in the state of California will soon be able to practice after three years of medical school instead of the traditional four. The American Medical Association is providing seed money for the effort in the form of a $1 million, five-year grant to the University of California at Davis. Student Ngabo Nzigira is in his sixth week of medical school and he's already interacting with patients, as he trains under the guidance of a doctor at Kaiser Permanente in Sacramento. (KHN is not affliated with Kaiser Permanente). In a traditional medical school, Nzigira wouldn't be in a clinic until his third year. In this accelerated course, students can shave up to $60,000 off their education debt. Still, Nzigira initially had hesitations. "I thought ‘Oh man, you want me to put the intensity and stress that is medical school in four years, you want me to condense it down to three years? I'm not sure about that,'" Nzigira says. But, after learning more, he became convinced it was a good path for him. The curriculum cuts out summer vacations, electives and the residency search. It's designed to get primary care physicians into the field faster, says Dr. Tonya Fancher, director of the program, called Accelerated Competency-based Education in Primary Care, or ACE-PC . "There's a huge problem, a huge shortage of primary care physicians," Fancher says. UC Davis says more people gaining health insurance coverage under the Affordable Care Act is expected to compound the need for primary care, and one of the goals of the new curriculum is to make family medicine a more appealing and lasting choice for young doctors. "Students come into medical school, they're passionate about patients, passionate about primary care, and then that wanes over time," Fancher says. "Part of it is probably the debt that they accrue in school, and part of it are the models of primary care that they're traditionally exposed to." 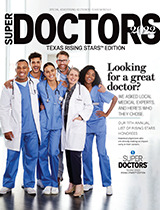 Texas, Georgia and New York also have three-year medical schools. And both the AMA and the Association of American Medical Colleges support these initiatives as part of the redesign of medical education. The physician groups want students to advance based on their competency, not a set time frame. UC Davis's ACE-PC medical students are guaranteed a residency, another training step before facing patient expectations on their own. Outside the Sacramento health center where Nzigira and other students are getting their first experiences in clinical practice, people were not troubled by the idea of a faster track through medical school. Angela Woodard says even doctors with four years of training may have trouble treating patients. "So them going to school a shorter time is not going to make it any worse," Woodard said. Patient Joe King isn't too concerned either, "as long as they maintain the same critieria of standards that primary care doctors have to meet," he said. This story is part of a reporting partnership that includes Capital Public Radio, NPR and Kaiser Health News.